The very first time I watched 1997 version of The Hunchback I was struck by the sets mainly the Notre Dame sanctuary sets and not in a good way. 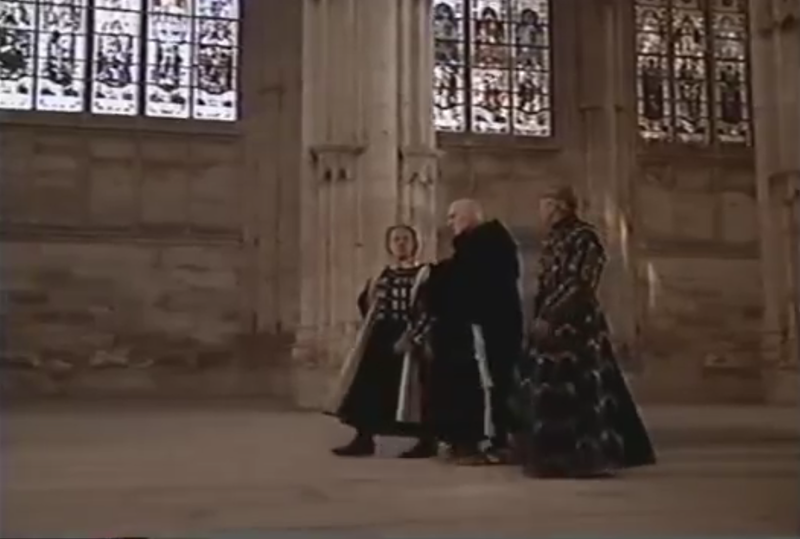 The set used for the sanctuary of Notre Dame is pretty but Notre Dame it is not. Oh, it has similar aspects of Notre Dame as it’s a gothic church but it’s not Notre Dame. This church has a soft earthly glow to it that Notre Dame not have. Notre Dame is dark inside so that the light from the rose windows pours inside. This light in the movie could have been the result of lighting a set for filming but post production could have corrected that. But I don’t think so. The layout and the look of it are just different. The stones seems more brown in tone and not grey like in Notre Dame. The columns totally different. Notre Dame’s columns are bigger with more complex capitals, the tops of columns. The ones in The Hunchback have like a stacking clustering details. It’s very telling that you don’t get an establishing shot of the sanctuary of the cathedral like in the 1939 version and the Disney version. Clearly they are passing another Church off as Notre Dame instead of a building set or shoting at Notre Dame. 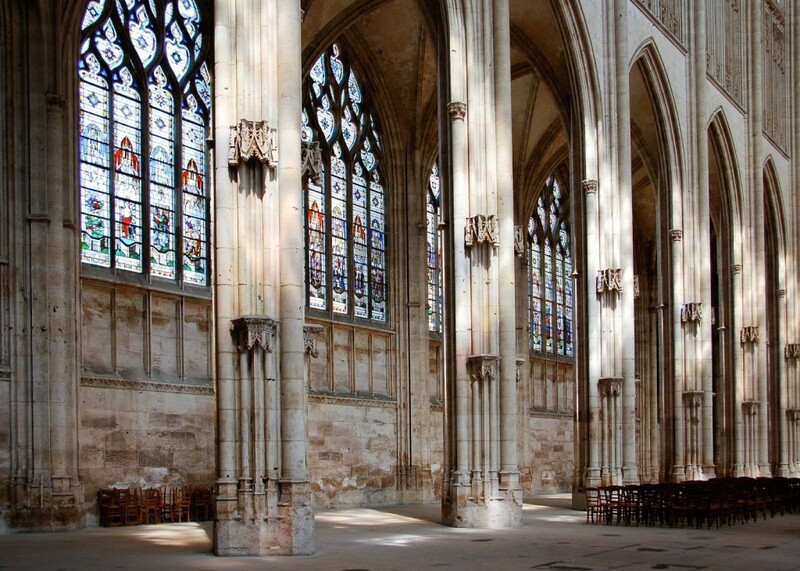 The Church they are passing off as Notre Dame is The Church of Saint Ouen in Rouen. Shame of you movie, Saint Ouen is gorgeous is its own right. In truth it does not matter which Church it is, it’s not Notre Dame. It’s disrespectful to the buildings and the audience when movies pass off one landmark for another. I get that movies typically pass off Toronto for New York because it’s cheaper but somehow this switch reminds of this Bollywood movie called Hum Dil De Chuke Sanam , in which they try and fail to pass off Budapest for Rome. They did it because the filmmakers felt Budapest wouldn’t connect to an Indian audience. 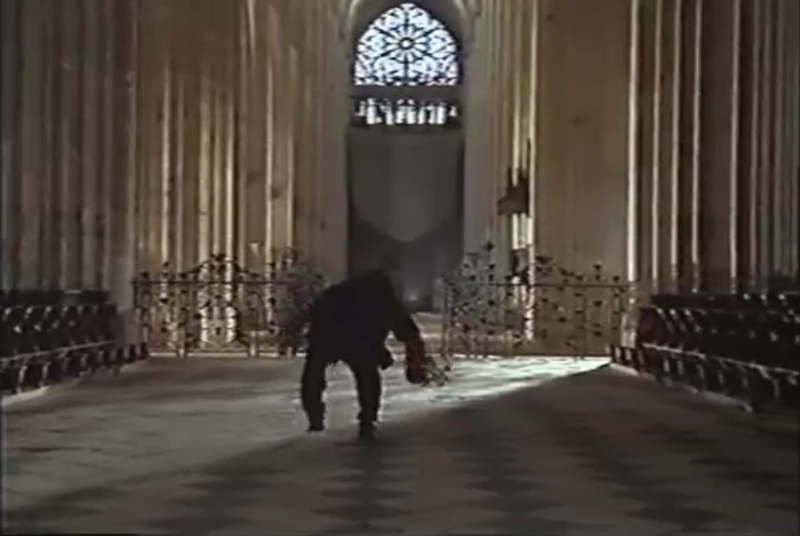 And clearly the film makers for the 1997 Hunchback think one Gothic Church is as good as another because people won’t notice. The rest of the sets are ok, nothing really to say, they are like the rest of this movie meh…..
Next Time -Final Thoughts of the 1997 Version of The Hunchback.